In recent years, corporate IT infrastructures have become incredibly complex. In addition to on-premise networking and storage systems, the majority of companies also rely on integrated cloud-based solutions. These offerings expand the scope and available capabilities of organizations' underlying infrastructures, providing space and resources for important technological initiatives. At the same time though, an increasingly intricate and wide-ranging infrastructure can also create problems when it comes to business leaders' needs for visibility and overall insight. Struggles to manage the internal and external systems companies use to support their most important technologies isn't a niche problem. 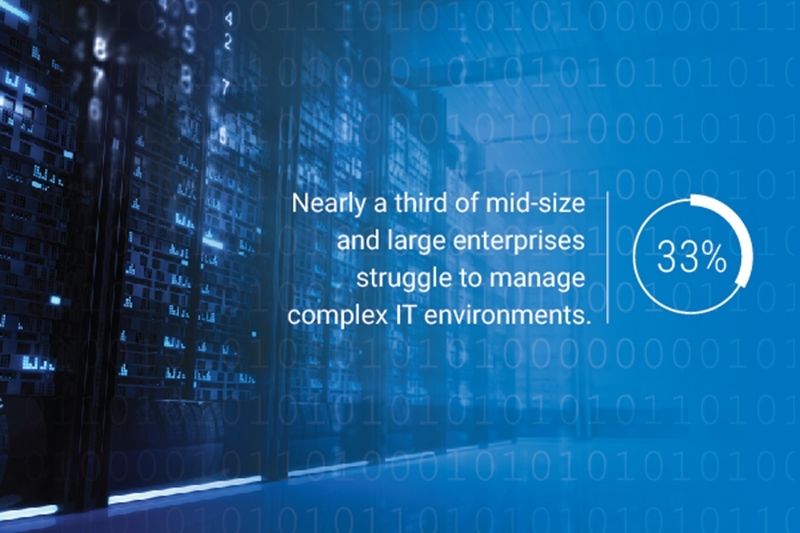 In fact, according to insights from the Aberdeen Group, difficulty understanding the scope and complexity of IT infrastructure is something that 32 percent of mid-size and 33 percent of large enterprises deal with. IT complexity is a more common issue than many business leaders realize. Today's companies require a performance monitoring solution to help provide in-depth visibility without the need to trudge through mountains of analytics data. In this way, business leaders and IT stakeholders have the specific details they need to support their decisions while maintaining a tailored view of their most important infrastructure assets. However, this isn't a capability provided by every infrastructure performance monitoring tool. Some tools take a "one-size-fits-all" approach to performance monitoring, giving a uniform – and often limited – view of operational efficiency. Thankfully, Galileo's industry-leading IPM solution includes Tag Manager, a powerful feature that enables IT and company admins to obtain a custom look into the storage systems, servers, SAN and applications that make up its infrastructure. How does Tag Manager work? Tag Manager allows users to establish customized tags to better organize the different systems that make up their critical IT infrastructure. Everything from cloud applications to storage systems, and SAN to individual physical servers can be tagged, ensuring that users have a customized view of every asset within on-premise and virtual environments. With customized tags in place, Tag Manager makes it easy for assets to be grouped into individual categories. In this way, systems and applications can be organized and searched according to specific queries or attributes, and nothing falls through the cracks when it comes to the watchful eyes of IT and business administrators. "Deep visual views of IT infrastructure can be shaped by assigning user-defined labels to user-defined IT assets that meet a specific search query or attribute what you want to track," explained Galileo co-founder Tim Conley. "Our customers see this as invaluable for strategic decision-making, capacity planning, configuration management, and more." Cloud Migration: Monitoring and grouping together assets before a migration helps ensure that companies can right-size the environment to match their needs. This helps balance the benefits the cloud can bring with overall cost. Server Consolidation: Reducing IT operating expenses while still ensuring robust support has never been easier. With in-depth data pertaining to usage and capacity levels, businesses are in the best position to make the decisions necessary to guide consolidation efforts. Mergers and Acquisitions: This solution also effectively streamlines the complex process of bringing together formerly separate companies' IT systems. Monitoring each organization's environment, grouping and consolidating can take place accurately and successfully with Tag Manager. This only scratches the surface when it comes to the potential ways to leverage Galileo's Tag Manager feature. Because users are able to create custom tags according to their own organization's IT priorities and initiatives, there are nearly endless possibilities. To find out more about how Tag Manager can make a difference for your business, contact us for a free trial today.